The University of Manchester’s Harmony Gospel Choir have been performing numerous events, from charity fundraisers to the X-Factor, to their own end-of-semester concerts, for over a decade. Winners of the national University Gospel Choir of the Year competition in 2012 and 2013, the choir has had a very successful couple of years under the leadership of Choir Director Tosin Akindele, and Musical Director David Önaç. 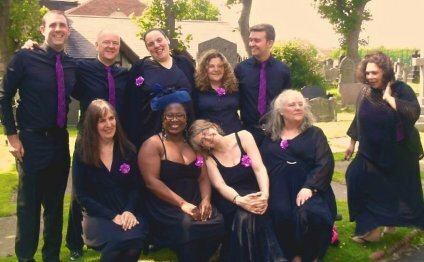 Last year the choir were invited by the London Community Gospel Choir to perform alongside them at their 30th Anniversary Concert performing ‘He’s Alive’, a gospel reworking of Beethoven’s 5th Symphony. The choir can also lay claim to 4.2% of the Guinness World Record which was broken that same day, contributing 50 voices to the total of 1169 voices which broke the world record for the largest ever gospel choir! An unauditioned choir, Harmony Gospel Choir is open to all and made up of students from a wide range of academic disciplines from Architecture to Zoology – and everything else in between! Their Wednesday rehearsals are a highlight of the week for many that sing in the choir. Through many voices coming together in harmony the choir aims to bring to the joy of gospel music not only to the members of the choir but also to the all those that hear them.